When your body encounters stress, virtually all systems—heart, blood vessels, immune system, lungs, digestive system, sensory organs, your brain—are engaged to meet what is perceived as a threat. All systems are go. Stress hits you from a variety of sources: highly pressured work, long-term relationship problems, poor self-esteem, loneliness, or persistent financial worries. Stress also comes from such varied events as the death of a loved one, the birth of a child, or a change in job or lifestyle. As a positive force, stress can cause us to grow, redefine ourselves, and urge us to take action. But negatively, it can result in feelings of distrust, rejection, anger, depression, and worse. Stress is America’s number one health problem. According to the American Medical Association, stress is implicated in 80% of all illness, and stress-related problems account for 90% of our visits to primary-care physicians. Left unchecked, stress is a killer. As reported in Newsweek, “A whole new body of research shows the damage stress wreaks on the body: not just heart disease and ulcers, but loss of memory, diminished immune function, and even a particular type of obesity. Stress is ubiquitous. A 1996 survey found that almost 75% of Americans have ‘great stress’ one day a week with one out of three indicating they feel this way more than twice a week." Stress affects you at home, in your relationships, and at work. The European Agency for Safety and Health at Work reported that over half the 550 million working days lost annually in the United States from absenteeism are stress related. The New York Times reported that “Workplace stress costs the nation more than $300 billion each year in health care and missed work.” 65% of workers said that workplace stress had caused difficulties and more than 10% described these as having major effects. Studies suggest that the inability to adapt to stress often leads to the onset of depression, anxiety, and insomnia. In one study, two-thirds of subjects who experienced a stressful situation had nearly six times the risk of developing depression within that month. 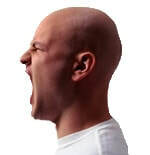 Further evidence suggests that repeated release of stress hormone produces hyperactivity and disrupts normal levels of serotonin, the nerve chemical that is critical for feelings of well-being. Certainly, on a more obvious level, stress diminishes the quality of life by reducing feelings of pleasure and accomplishment and threatening relationships. A myriad of approaches are presently available for the management and reduction of stress. There are cognitive learning skills, learned through counselors, others done in conjunction with cassette tapes or CDs of various kinds. As these skills take effect in the cognitive centers of the brain, the entire body gradually responds. Other therapies focus more directly on the body. They include such modalities as muscle balancers and toners, massage, flotation tanks, and the like. In these therapies, the body responds directly, and the neurotransmitters of the brain respond gradually. Among the most popular is altering brain chemistry through the use of pharmaceuticals. It is not without its problems however, including negative side effects and cost. The most effective and efficient programs, such as CES , work with both the body and the brain, simultaneously bringing them back to a normal, balanced functioning. This approach has the added benefit of potentiation - work done on the body makes work intended to alter the brain’s neurochemistry proceed at a faster pace and vice versa. 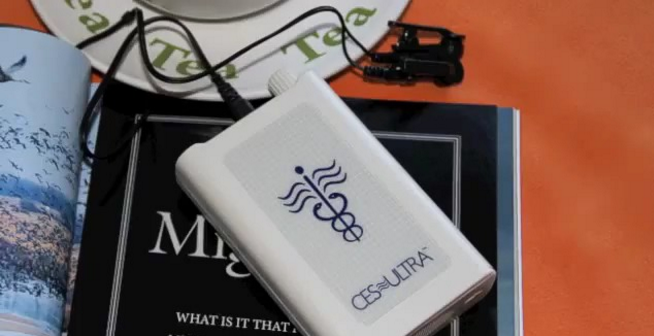 CES (Cranial Electrotherapy Stimulation) is a simple noninvasive approach to stress management. It employs mild battery-powered electrical stimulation through clip-on electrodes attached to the earlobes or pre-gelled electrodes placed behind the ears. Current flow is limited so that the most a user will experience during the process is a slight tingling sensation. CES gently adds energy back to all parts of the brain, helping return you to the optimum state in effect before stressors were activated. CES's most immediate impact is reduction of anxiety. For most, it is experienced in the course of treatment; for others, hours, or several days after. CES leaves you feeling both relaxed and alert. The effect differs from pharmaceutical treatments in that people report feeling their bodies as lighter and more relaxed and their mind more alert and clear. Results are cumulative and lasting. The CES Ultra is the most advanced CES instrument currently available. For those suffering from depression and anxiety, it means relief with none of the unpleasant side effects of prescription drugs. For those seeking nothing more than a good night's sleep, it is an alternative to habit-forming tranquilizers. For a public increasingly concerned with the effects of stress on physical health and emotional well-being, it provides a way of addressing that stress in a safe and effective manner. Contact us today to find out how you can get the relaxation, peace of mind, and restful sleep you deserve. ​Now when I wake up I feel much better, more relaxed and refreshed and I also feel that I am coping with the stress much better at work. It’s is like having my own personal little relaxation device. I love it and will recommend it to all my friends and associates.